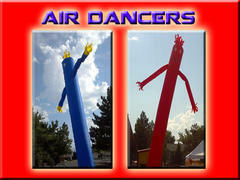 Bouncing Around has been serving the greater Reno area for over ten years, providing inflatable fun to you! We bring clean, safe bouncers to your home, business or special event. Call 775-425-5867 (JUMP) today! Whether you're hosting a small party or a big event, choose from Bounce Houses, Water Slides, Sumo Suits, Dunk Tank, Big Stuff (40-60 foot obstacle course) and Promotional Inflatables.